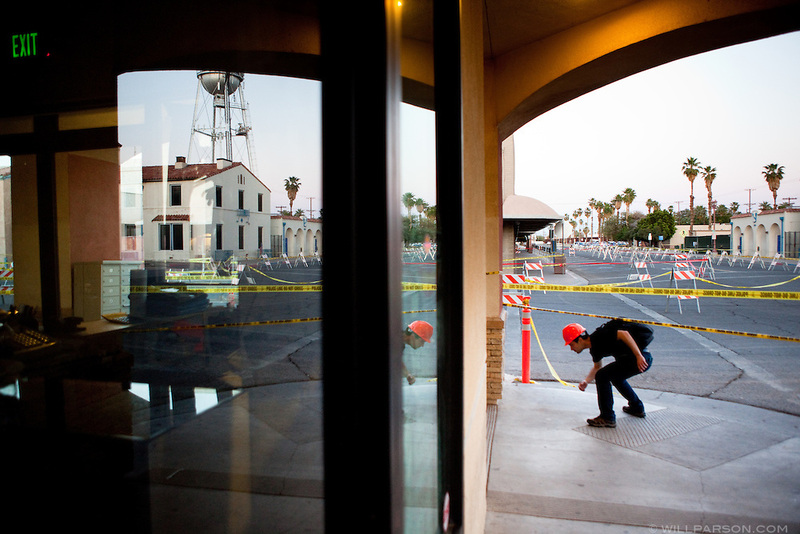 Grad student Yannis Koutromanos inspects damage in downtown Calexico. A group of researchers led by Dr. Benson Shing, Vice Chair of the Department of Structural Engineering at the University of California, San Diego, inspected the earthquake damage in Mexicali, Mexico and Calexico, CA, April 7, 2010. A 7.2 magnitude earthquake in Baja California on Easter Sunday was felt as far away as Los Angeles.